Nokia has made good on its promise to launch thinner phones with the introduction of the Nokia 6300. At just 13.1mm thick, the 6300 is considerably thinner than typical handsets from the leading manufacturer. Analysts have been hard on Nokia's inability to bring out stylish handsets like the Motorola RAZR. One thing that Nokia still hasn't done is come out with iconic brand names like many of its competitors have (RAZR, Chocolate, BlackJack, Pearl, etc). 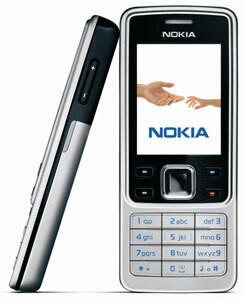 Nokia expects to start shipments of the 6300 in the first quarter of 2007. It should sell for 250 euros before subsidies.